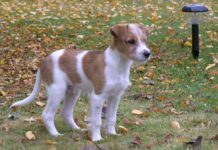 They are known by a variety of other names including Nihon Teria, Nihon Terrier, Kobe Terrier, Mikado Terrier and Oyuki (Snowy) Terrier. 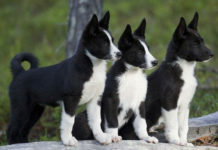 Their unique traits are that they have a striking black head with a predominantly white body; a relatively short lifespan of 9 to 11 years; a tiny size (especially considering that they are Terriers); a cheerful and lively character; and a long history of being a companion animal. In the 17th century, Dutch (or perhaps English) merchant ships went to Nagasaki and brought with them the ancestors of the Japanese Terrier. 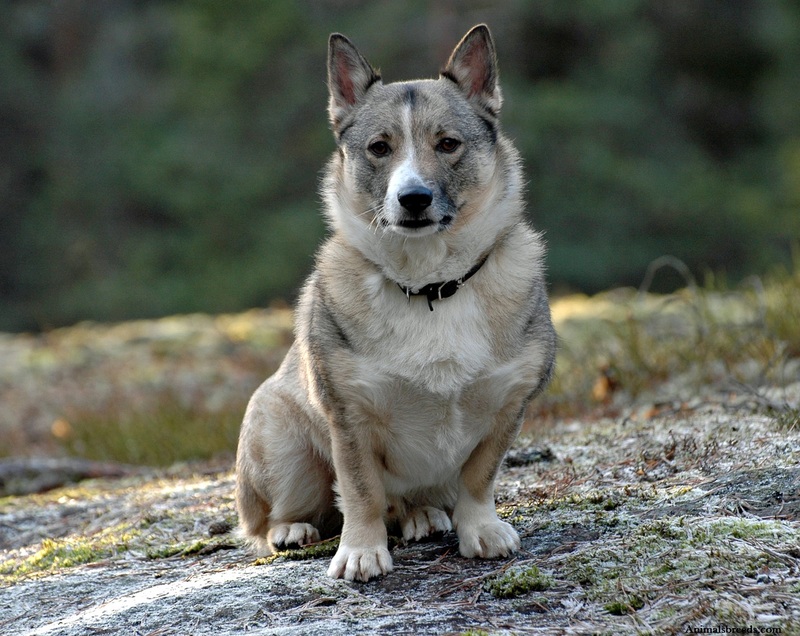 Regardless, the dogs that followed were bred purely as pets (unlike those of other Terriers) and were enormously popular as lap dogs in Nagasaki, Kobe and Yokohama. 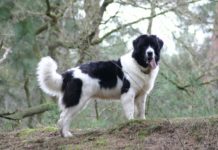 For next couple of centuries, they were bred with other dogs. 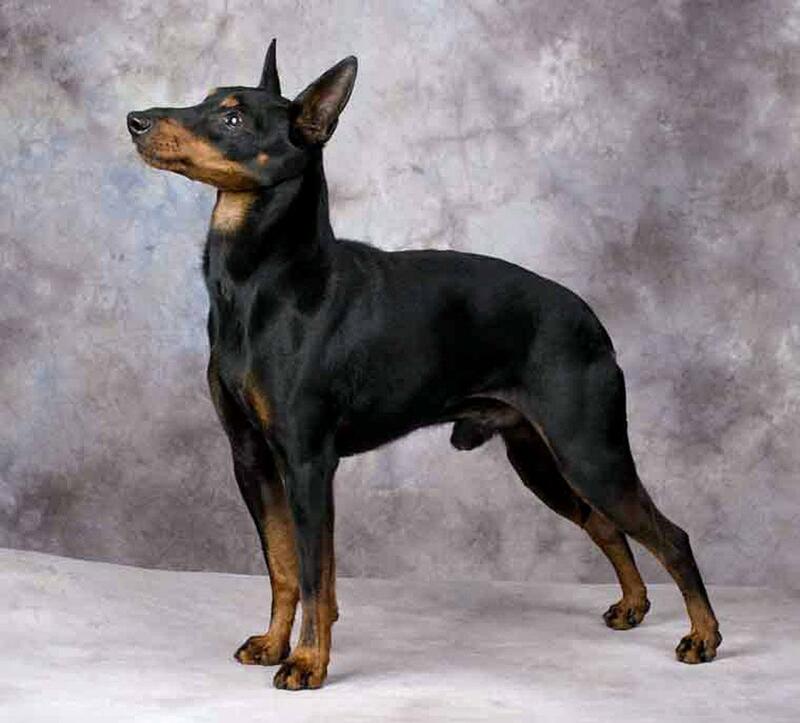 In 1916, a male Terrier, by the name of Kuro and the cross between a Toy Bull Terrier and an English Toy Terrier was born and became the progenitor to the breed. 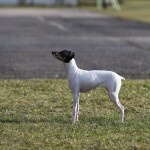 The breed was refined in Osaka during the 1930s. Now, they are very rare, even in Japan. 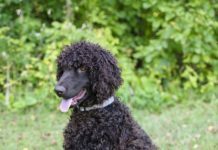 Because they are extremely rare and because they are not recognized by a great many kennel clubs, little is known about their health. 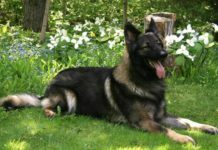 They most likely suffer from the same afflictions that many dogs and many small dogs suffer from, such as hip dysplasia, patellar luxation (common in small dogs), PRA (progressive retinal atrophy), Legg-Calve-Perthes disease (common to small dogs, and often leads to arthritis), cryptorchidism (a deformation of the testicles, and common to small dogs) and allergies. 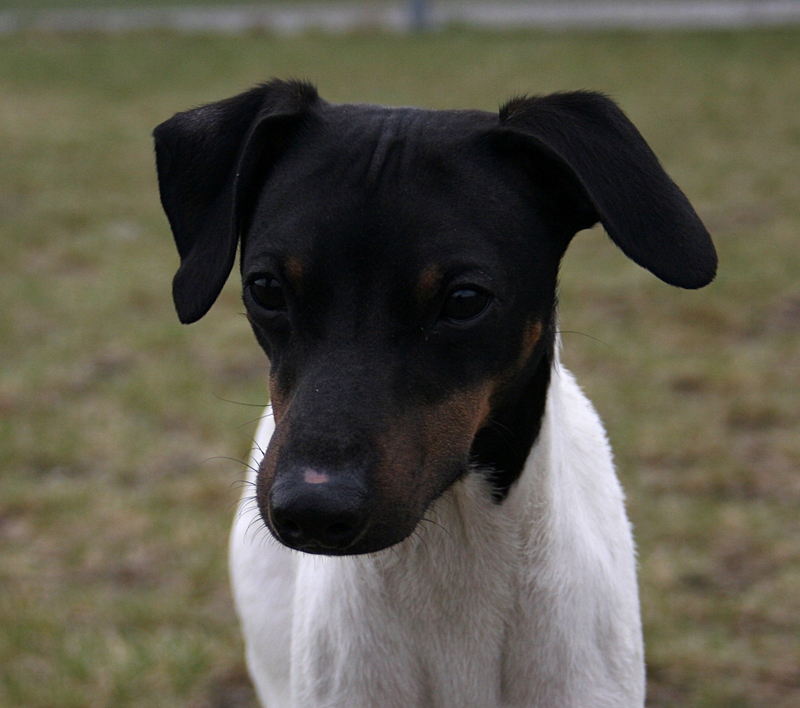 Unlike other small dogs such as the Chihuahua, the Japanese Terrier is not overly active. 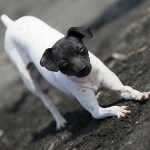 However, it is always a good idea to give any dog a daily walk so that they can obtain necessary exercise. It is not known if they are easy to train. 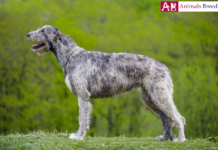 However, they have been bred to be a lap dog, and they do seem to be most suited to that. Their overwhelming characteristic is that of being a lap dog. 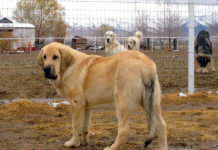 In this regard, they are very gentle and sensitive and are best suited to calm and quiet households. Japanese Terriers are small dogs, often not more than a foot (30 cm) tall. Their height is only 11-13 inches (28-33 cm) and their weight is only 5-9 lbs (2.3-4 kg). The coat is smooth, glossy, short and dense. 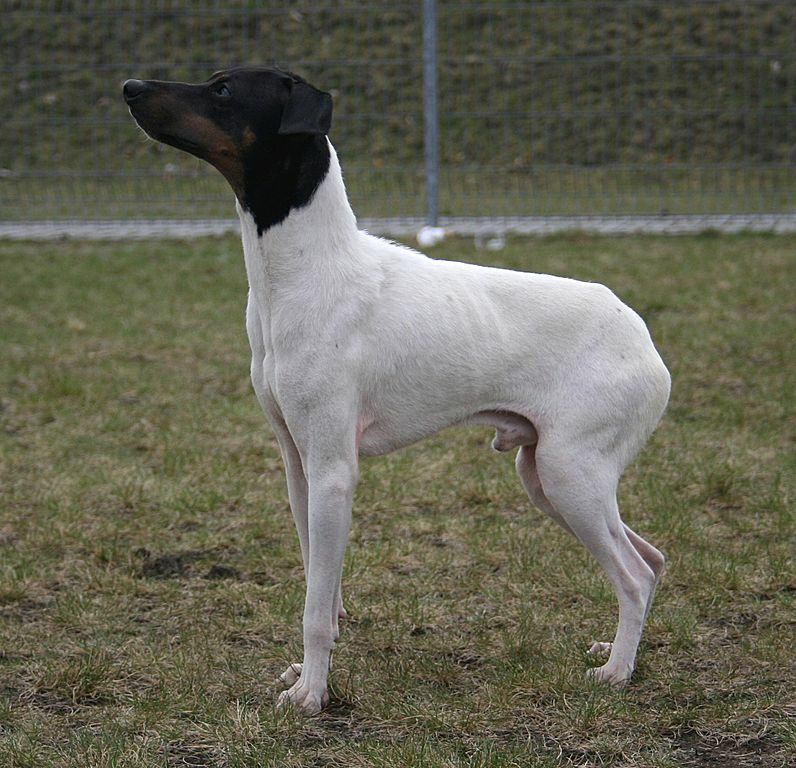 The colors are almost always white throughout the body, and black for the head, and often with tan interspersed. 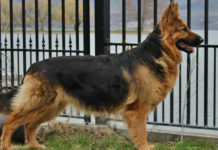 As with many other dogs, regular brushing, and bathing when necessary is sufficient. 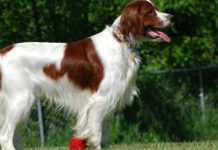 The body type is small, and if they were recognized by kennel clubs then they would most likely be a part of the Toy dogs group, owing to their small stature and weight. 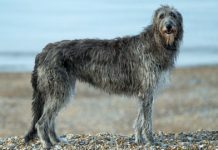 They are well-proportioned, with a deep chest, sturdy and strong ribs, arched and powerful loins, and a tucked-up belly. As lap dogs, they can be very friendly toward children. However, as with all small dogs, children may not necessarily be friendly with them, and may hurt them, either unintentionally or intentionally. 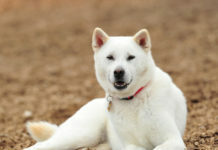 It is possible that they could be good around cats, provided that they are as calm as is the Japanese Terrier. 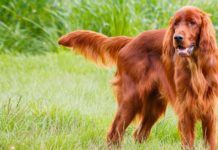 Because of its small size, it is probably not good around other dogs. 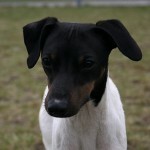 The Japanese Terrier is best when it is the only pet. The ease, or lack thereof, of training this Terrier is unknown. 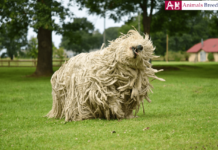 Terriers tend to shed less, so this is most likely applicable to the Japanese Terrier. 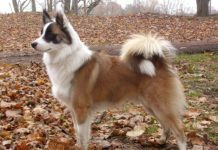 It is calm, a lapdog and very small so it would not make for a good watchdog. They have been described as having a few characteristics, although “intelligence” is not one of them. Thus, they are probably below average in intelligence. It takes an average amount of effort to groom them. They do not seem to exhibit any traits of adaptability. 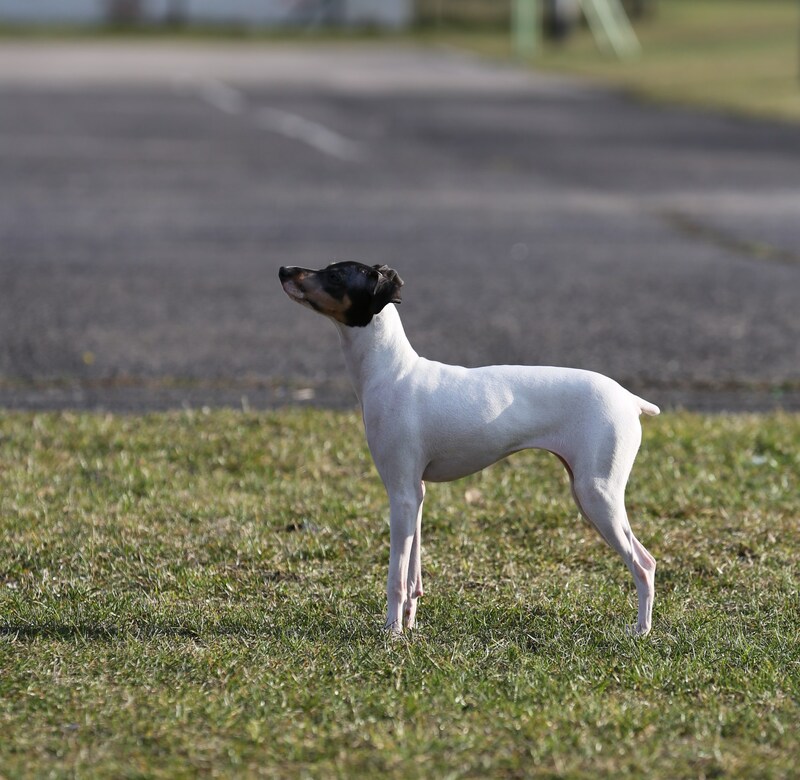 The ideal home for a Japanese Terrier is of a household that has no other pets, single adults or an adult couple (with no children), those who desire a pet requiring little maintenance, and in a warm climate. Dogs are wonderful and seem to take care of themselves. 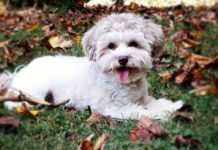 All you need to do is to groom, feed, train and exercise them properly (and, of course, give them lots of love and attention) and you will have a wonderful companion for a long time. 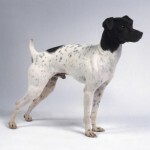 It must be emphasized that these are rare dogs, even within Japan, and not much has been recorded about them. For feeding needs, they could be similar to that of Chihuahuas. 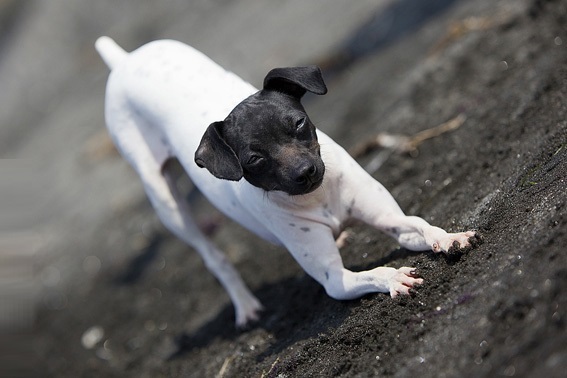 These latter dogs are even more small, yet are more active, so they may be the equal of Japanese Terriers. In that regard, Chihuahuas require two daily meals of a total of 0.25 to 0.50 cups of high-quality food. Regardless, a good guideline is to put your hands on the spine and reach for the ribs with your fingers. If you cannot feel the ribs without pressing hard, then your dog is overweight. If you can see the ribs, then he is underweight.